Travel days are brutal bookends for any amazing adventure. You choke down terrible airport food, waste hours waiting in lines, pay extra for everything, and nine times out of ten, you share your airborne sardine can with a screaming infant. Don’t add to your suffering by watching the latest terrible rom-com edited for time and content on a shmutzy TV four rows away — not when you can pre-download offline content from Netflix! Just launched at the end of November, Netflix Offline Viewing means you can spend the long hours of purgatory on international flights getting amped up for your adventure. Our Editor-in-Chief Michael Bonocore and I teamed up to help you know what to download before you forget to check in properly and get sandwiched in the middle seat on the 16-hour San Francisco to Dubai flight. You may have seen us mention this series before… With brilliant cinematography, interesting international stories, and behind the scenes access to acclaimed travel photographers, Tales by Light is an obvious choice for your travel day entertainment. With ten episodes to watch, this series introduces islands all over the world, highlighting the various relationships between man and nature from location to location. Whether you’re traveling to the Caribbean or the Falklands, there’s a relevant episode waiting to get your geared up for your adventure. Foodies rejoice! Prep for the culinary delights of international travel with this Netflix original series! Follow international chefs as they prepare and introduce regional foods that will make your airplane tuna sandwich look like cat food and cardboard. From the BBC, this series follows Stephen Fry and zoologist Mark Carwardine as they travel the world in search of animals on the verge of extinction. Last Chance to See is a follow up to a radio series and book by the same title produced almost 30 years ago by Carwardine and author Douglas Adams. With incredible access to such rare animals, this series just might empower you to help fight for the natural areas along your adventure. Step into the shoes of a bad tourist for this wonderfully un-PC show. Ricky Gervais and Stephen Merchant send their vapid friend and a completely inexperienced traveler, Karl Pilkington, on wide-ranging international adventures. His intimidation by street foods in China and fear of getting hooked on eating toads will keep you laughing the whole flight. Settle in for some easy, light-hearted watching. Ok, this one isn’t exactly a travel show, but if you’re looking for binge-worthy, action-filled viewing for a long day of travel, this visually astounding series is the perfect escape. It follows the lives of eight psychically connected characters living in amazing locations all over the world. This show will make you long to visit all of the filming locations, from busy colorful streets in India, to starkly beautiful mountaintops in Iceland. What happens when four college buddies decide to ride 16 wild mustangs from Mexico to Canada? Unbranded is the film festival acclaimed documentary that documents the challenging 3,000 mile ride through some of the harshest terrain in the American West. Being a west coast, mountain-obsessed photography, this film is right up my alley. For years, India’s railway system has been romanticized in Hollywood films like ‘The Darjeeling Limited’, but India’s extensive and historical railway system is full of real people, real stops, real stations, and most of all, real life. This hard to stop watching documentary series gives viewers a glimpse at the railway behind the Hollywood glamor. I am pretty much obsessed with anything Norway. But in two trips to the Arctic country, I have yet to see much wildlife. 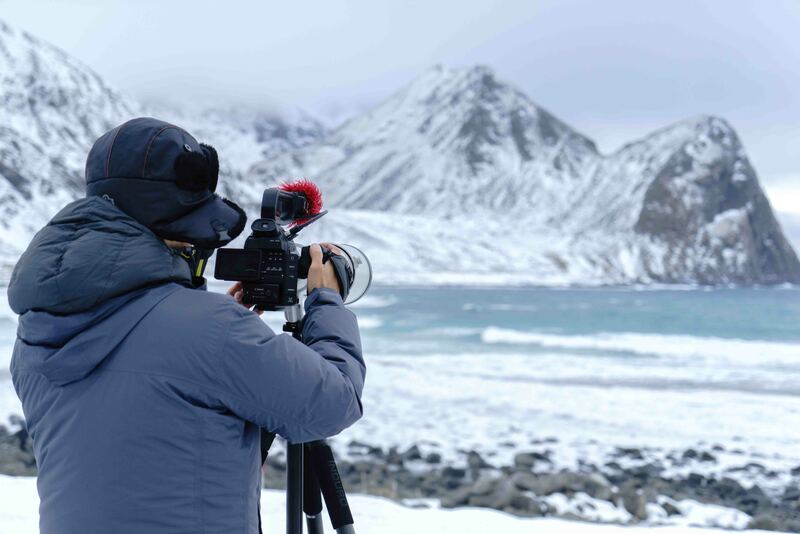 Obviously, I am looking in all the wrong places, as the filmmakers behind Wild North show us that Norway is home to some of the world’s most amazing and diverse wildlife. I may be biased, since I just returned home from my second trip to Cuba. This trip came at a historic time, as I was in the country during the nine-day mourning period for Fidel Castro’s death. During this time, alcohol, music, and dancing were outlawed by the government. It was a surreal scene walking through Havana and not hearing the constant beat of Sol music and seeing the sidewalk cafes full of tourists drinking Mojitos. But either way, for anyone who has been to Cuba, it’s a fascinating country with a fascinating history, from both the good and bad. This 8-part series digs into the history of the small island nation just 90 miles south of Florida. This is only on the bonus section because it isn’t available for download yet. But BEFORE you embark on your next epic adventure, this film follows a group of mountaineers (who also surf) as they retrace the 1968 journey of Yvon Chouinard and Doug Tompkins to Patagonia. It’s an inspiring and fun film that shouldn’t be missed. But hopefully Netflix makes this available for download soon, as this is one that was meant for the window seat of a Dreamliner because you can’t sleep from all of the adrenaline rushing through your veins. Again, not available for download…but anything with his face in it needs to be seen by everyone with an itch for travel, food, humor, and adventure. So, how did we do? Did we miss any must-see wanderlust? Let us know your favorite travel shows on Netflix and we might include them in our next installment!